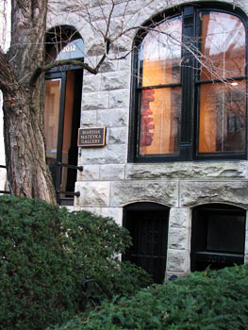 The Marsha Mateyka Gallery was established in 1983 in Washington, DC by Marsha Perry Mateyka, an art historian. It is one of the city's leading galleries of contemporary art; exhibiting painting, sculpture, photography and works on paper. The gallery represents approximately 20 artists, including: Jae Ko, Jim Sanborn, Athena Tacha, William T. Wiley and the Estates of Gene Davis and Nathan Oliveira. The gallery's clients include major museums, corporate collections and private collectors, nationwide. It is located at 2012 R St., NW in the historic Dupont Circle neighborhood of Washington, DC, around the corner from the Phillips Collection. 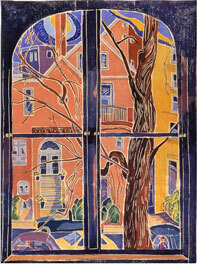 The gallery is a short walk from the Dupont Circle metro stop, Q Street exit. The gallery has been a long time member of the IFPDA (International Fine Print Dealers Association).